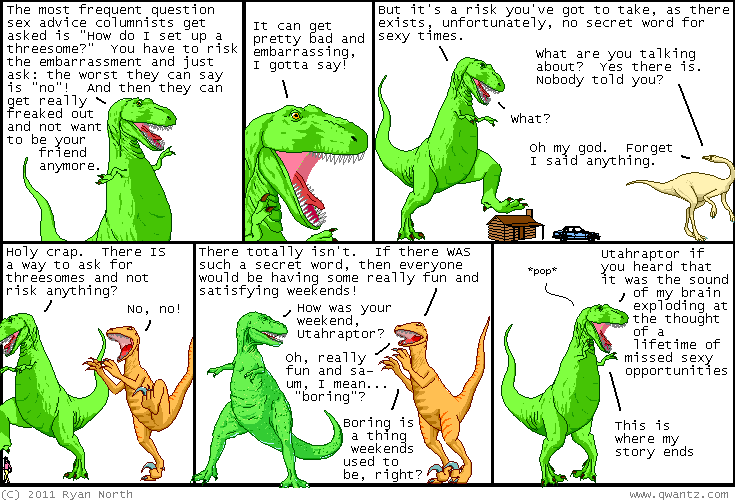 Dinosaur Comics - March 22nd, 2011 - awesome fun times! –ATTENTION: THIS IS NOT A STORY ABOUT SKYRIM. I just liked the name!! March 22nd, 2011: I meant to mention a while back - LINGUIST List is having a funds drive! It's a non-profit organization that's been running since 1990 (mostly by grad students) that has some really great content (Ask a Linguist!). They're having a funds drive now, and there's a non-zero chance you may want to donate!